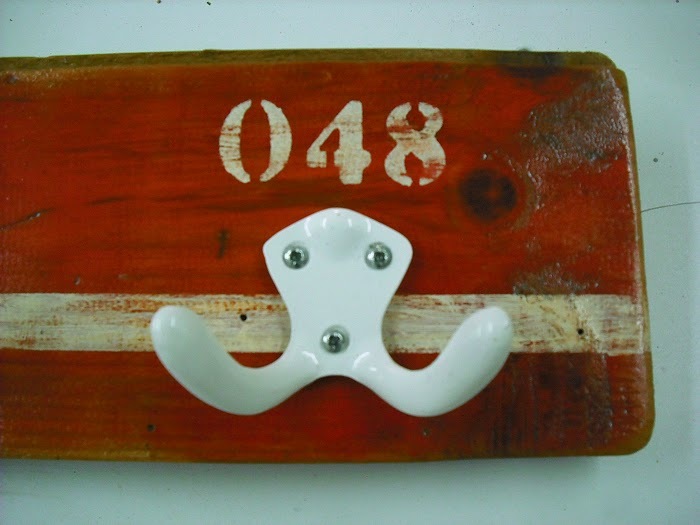 Three white enamel cast iron double hooks mounted on a piece of old reclaimed floor board that was originally painted in a lovely deep red colour. 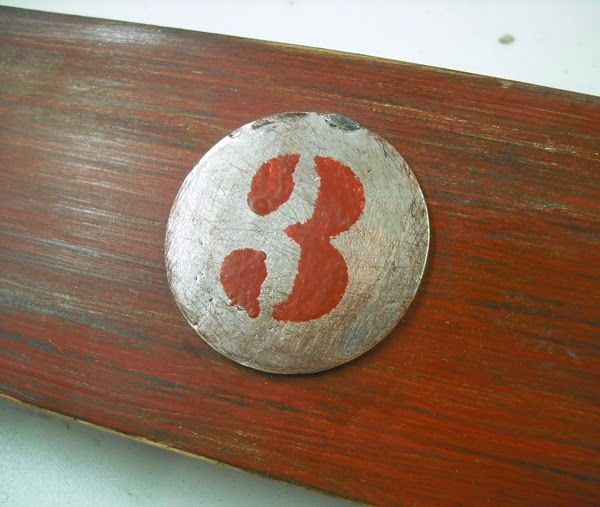 I have treated the wood and added a white line plus some numbers, then distressed it and protected it all with water based clear varnish. 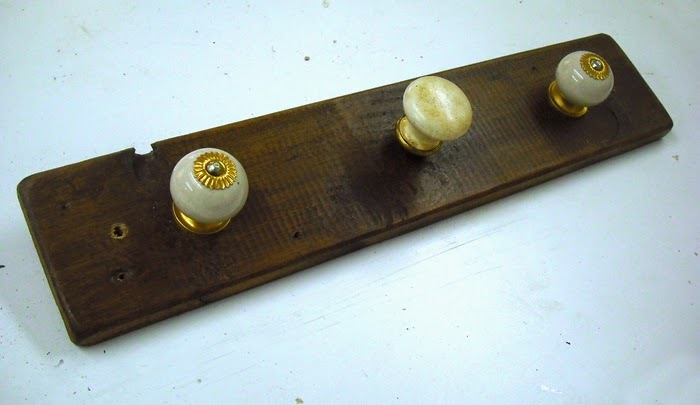 A nice coat rack in solid wood with three big handles, from the beginning of the 20th Century. 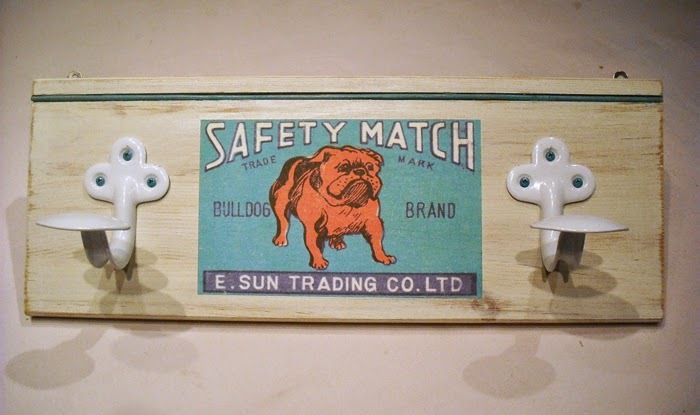 I have kept the original colours, just enhancing the distress here and there, and varnished plus polished it. 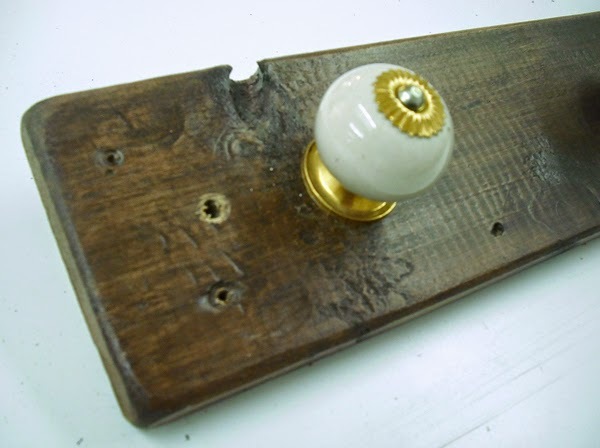 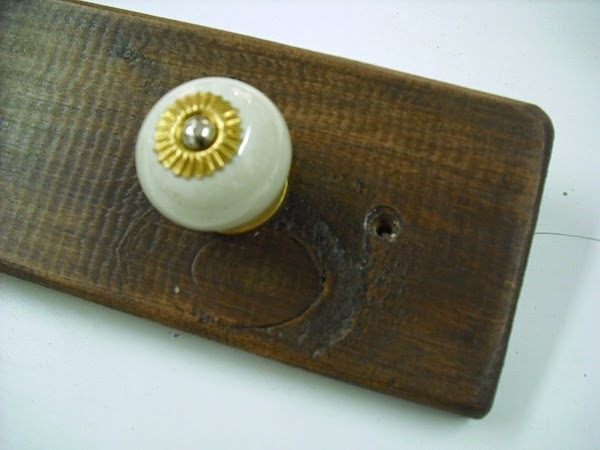 An elegant wall hanger made out of a piece of old reclaimed pinewood, that I stained, two brass and porcelain drawer knobs and an old porcelain handle salvaged from a window. 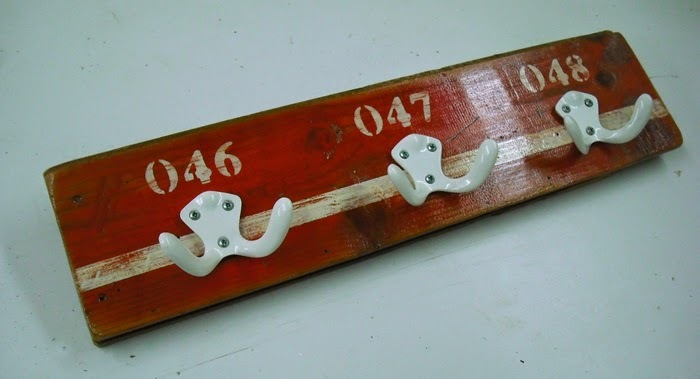 The front of a vintage pinewood drawer serves as the base for this funky coat rack. 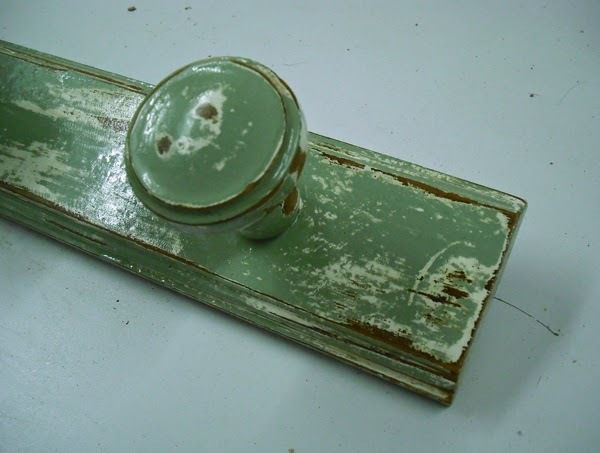 I've painted it in an off white colour, distressed it and added a thin bamboo rod painted in deep turquoise to fit in the top groove of the board, plus two iron hooks. 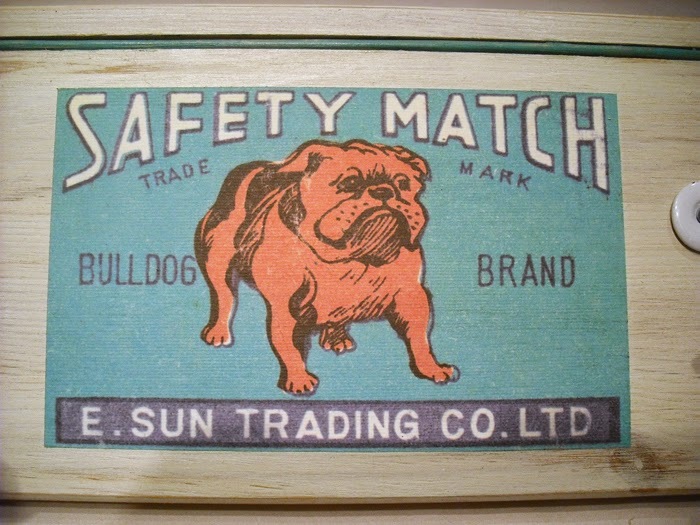 A picture of an old matches box design completes the combo. 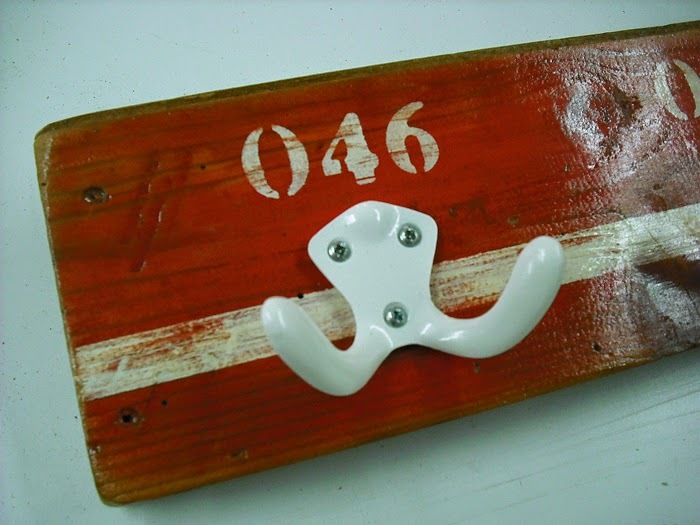 Two white enamel cast iron double hooks mounted on a piece of old reclaimed floor board that was originally painted in a lovely faded red colour. 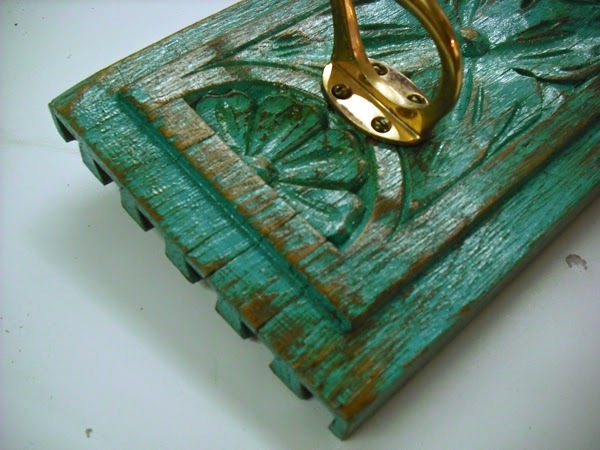 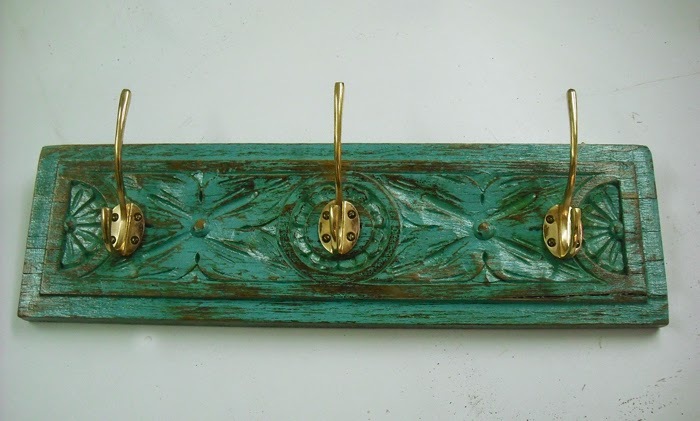 The base of this elegant coat rack is the restored front of an old engraved drawer front in solid teak, painted in a deep aqua tone, then distressed to highlight the lovely handmade carvings. 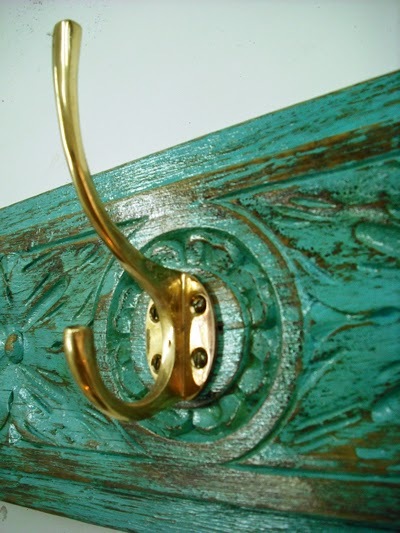 The three double hooks are solid brass. 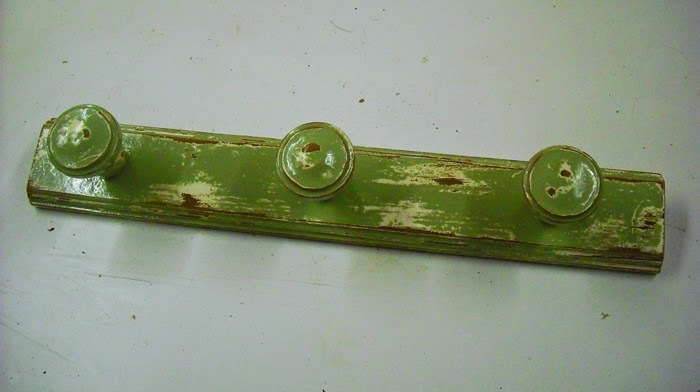 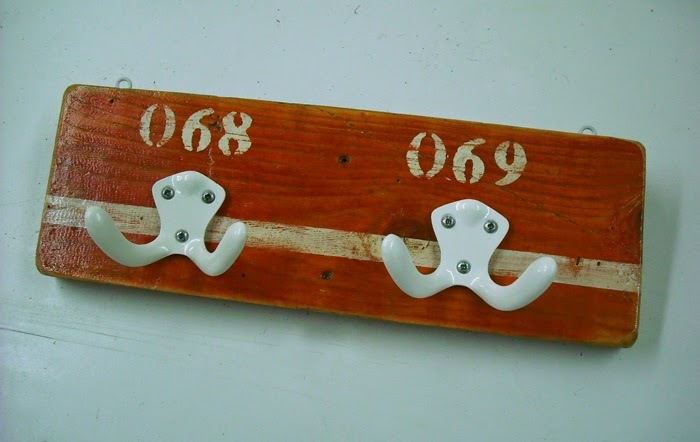 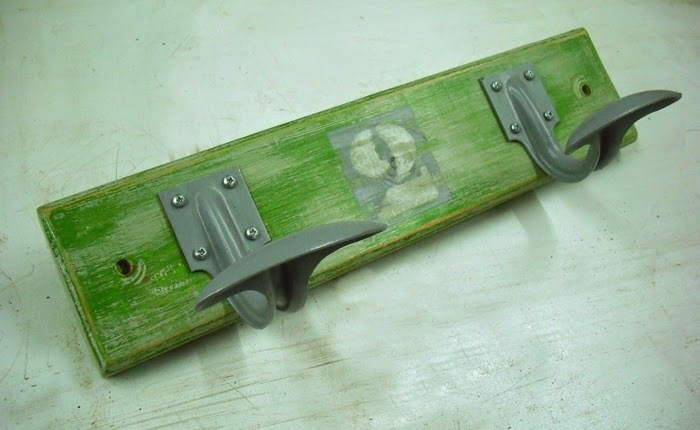 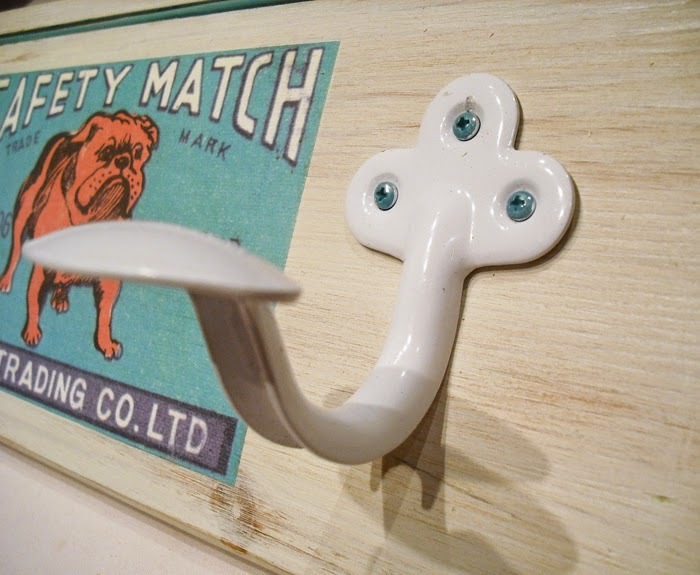 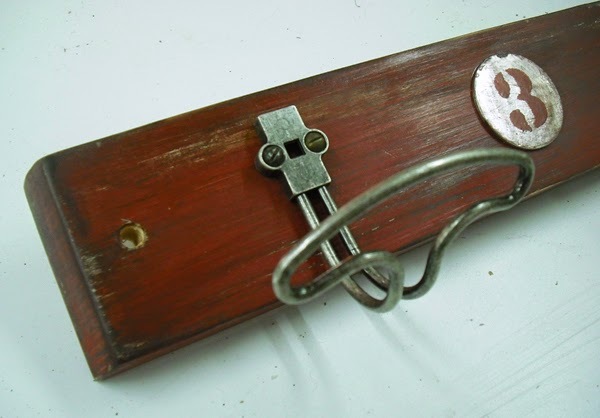 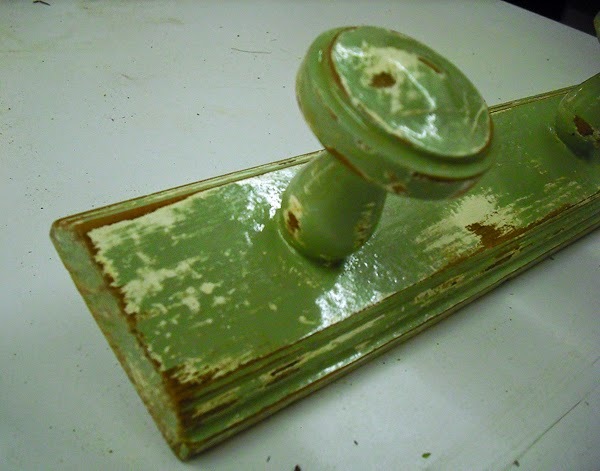 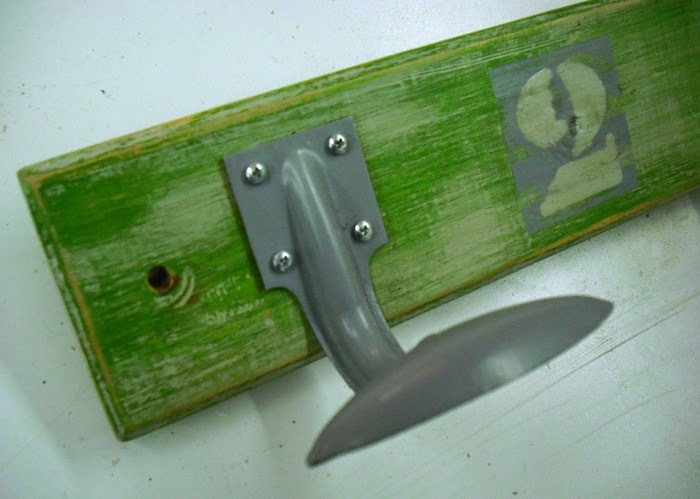 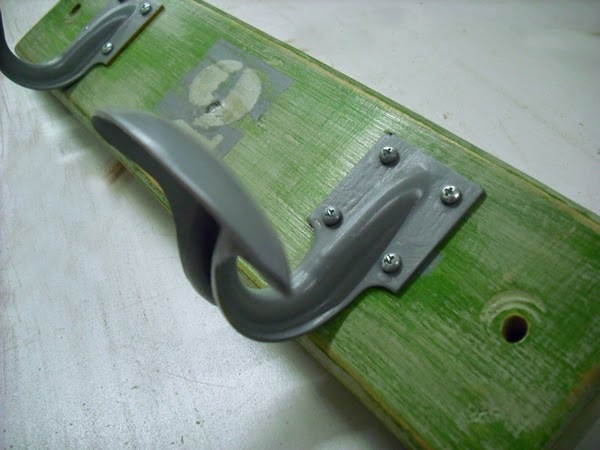 Two vintage hooks painted gray on a pice of reclaimed pinewood in various shades of green and light gray, with the number 2 stencilled in the central part. 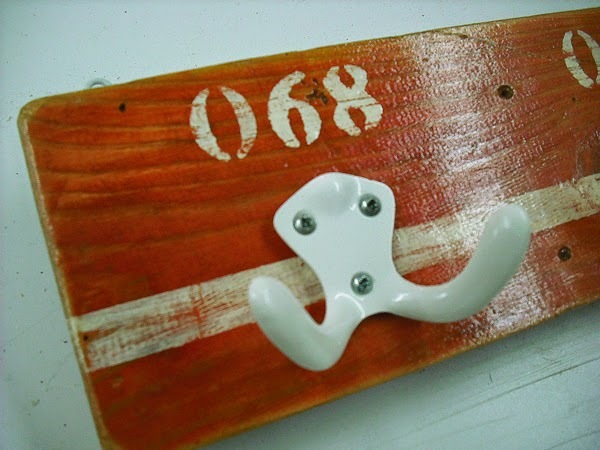 Acouple of steel hooks mounted on a reclaimed board that I stained, painted, distressed and finally waxed. 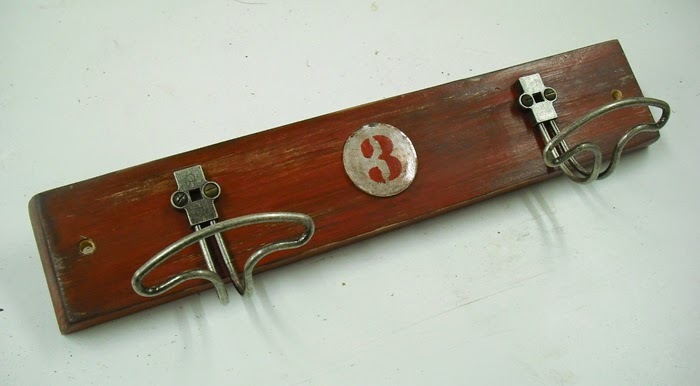 A round metallic medal with a stencilled number '3' completes the design of this industrial looking coat rack.